It is crucial to save Net Neutrality! “Net neutrality”. This obscure yet simple concept is the root of the development of the Internet as we know it. In the digital environment, it is the guarantee of competition, innovation, and fundamental freedoms. Until now, net neutrality has been the rule, both for technical and economical reasons. However, it is now under the threat of network operators1 who see business opportunities in discriminating information flowing through their networks. It is crucial to seize the opportunity of the third reading of the “Telecoms Package” directives to take strong measures aimed at protecting a free, open and innovative Internet within the European Union. When a paper letter is sent, the postal service does not open it to decide what to do with it depending on its content or the identity of the sender. They are just paid to carry the letter. Their postal network is thus said neutral. It is the same with the Internet: when no discrimination is applied regarding the emitter, the recipient, or the nature of the information being carried, the net is neutral2. Network operators do not decide whether using any service or application, or accessing any particular content, should have priority over the rest of the information flow. Thanks to this principle, everybody on the globe, regardless of their operator, has access to the same Internet3. Why do we need “net neutrality”? If a service provider breaks the neutrality of the network, it can easily favor its own services over its competitors’: for instance in France, all three operators forbid users of their so-called “mobile internet” to use any voice-over-IP software 4 (including Skype) thus forcing their users to use their own very expensive local and international phone rates. There is no way for the user to switch to another operator, since all three of them5 hold the same policy 6. These practices are fundamentally anti-competitive and harm consumers as well as economic growth and innovation. So far, the Internet has been built by its users. “Two guys in a garage” (or in student rooms) built myriads of microscopic projects and startups that turned out to be “the next big thing”. Google, Wikipedia, Skype, eBay, Bittorrent, Twitter and so many other essential parts of the Internet became widely used all over the world a few months after being created. This “innovation without a permit” is healthy and stimulating. It benefits the whole economy. What if the next innovative actor had to ask every operator the permission to use their networks, or had to pay to get a normal priority7 in order to avoid being so slow that it would be rendered useless? Some operators would love this perspective of recentralizing and controlling the net. The Constitutional council, France’s highest jurisdiction, made this bold statement8, confirming what the European Parliament already stated on many occasions. Internet is now an essential tool for exercising the Freedom of expression and communication, which itself is essential for the proper functioning of our democracies. Blogs, micro-blogs, social networks and chats are as many new ways of participating to the public debate. In a democracy, only a judge can order restrictions of fundamental freedoms such as the freedom of speech. What if the control of these new tools was handed out to companies in the name of their profit? Internet keeps growing all the time. So far, when the full capacity of their “pipes” was reached, operators invested in more bandwidth and increased the potency of the global infrastructure we call the Internet. With these new possibilities of lucrative anti-competitive practices, operators could switch to a new business model: investing in the control of what is going through the pipes, instead of investing in better networks. This model would create the perfect self-justifying conditions for these policies: “Internet has become too slow, we are therefore forced to control it and prioritize content, services and applications whose owners are ready to pay the more money.” Such arguments, along with the threat of “the end of the Internet” were used to convince members of the European Parliament to let net neutrality go, but do not stand in the face of technical reality. Cheaper bandwidth and reasonable network management9 still allow for a growth of the network based on structual investments10. Call your elected Member of the European Parliament (MEP) and inform them of the chief importance of preserving net neutrality. Ask them to advise their colleagues from their party and delegation. As soon as the conciliation committee for the Telecoms Package will have been named, it will be very important to make sure that its members are fully informed as well, and willing to take positive steps towards preserving net neutrality. Talk, blog, tweet and advise journalists about these issues. If your operator breaks network neutrality, denounce publicly its practices before switching to another operator. Follow the ongoing campaigns for further recommendations of actions. If we don’t act now, a few operators could gain control of the Internet as we know it, and transform it from the most fantastic invention for the sharing of human knowledge since the printing press to their dream “cash cow”. 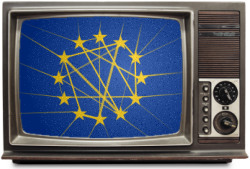 If they succeed in imposing this “television 2.0”, competition, innovation and fundamental freedoms could fall under their control and become ideas of the past. 1. The most recent example is the dutch operator UPC, who unilaterally decided that some parts of Internet will become slower for all its users. 2.There are of course circumstances where it is acceptable for providers to block packets – for example, security reasons. 3. Some “friendly” countries deliberately break this principle of net neutrality such as the People Republic of China, the Islamic Republic of Iran, North Korea, etc. 4. Their policies also forbid the usage of peer-to-peer filesharing, audio or video streaming, newsgroup, etc. thus favoring their own offers for content. 6. Anti-trust laws have been unable to prevent collusion in mobile phone fees in ten years, thus invalidating the main argument of the Telecoms Package rapporteur Malcom Harbour saying that consumer and competition laws are sufficient to counter these anti-net neutrality practices. 7. Operators advocating against net neutrality claim that they need to prioritize some type of services and applications over others, which in reality would allow them to invest into this anti-competitive and potentially lucrative prioritization instead of investing into their infrastructure. 8. in its decision of the 10th June 2009 (point 12) invalidating the HADOPI “three strikes” law where Internet connections could be cut down by administrative non-judicial decisions. 10.Such an investment model for the growth of the Internet is even more justified by the fact that in many countries, these structural investments are partly funded by taxpayer’s money.